Dead Rising 2 Announced for PS3, Xbox 360 and Pc: Zombies, Motorcycles and Vegas, What'S Not to Like? 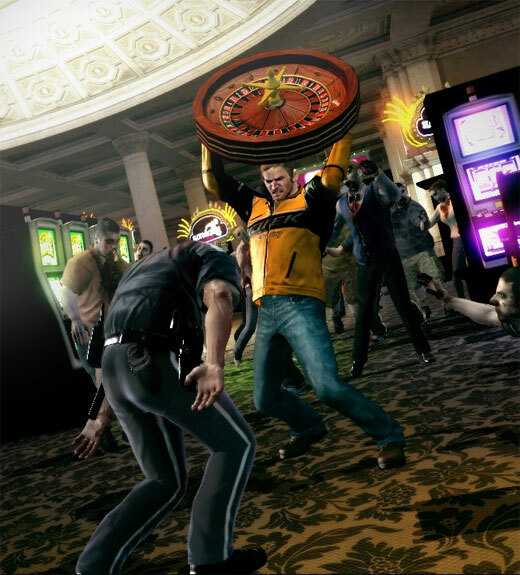 Dead Rising 2 Announced for PS3, Xbox 360 and Pc: Zombies, Motorcycles and Vegas, What’S Not to Like? Capcom today confirmed that Dead Rising 2 is coming to not only the Xbox 360, but to the PS3 and PC too. Not too much else is known yet, but any game that involves bashing zombies over the head with a roulette wheel is fine by me.